The TIS Tenant Scrutiny Programme is proving popular with Councils and RSLs throughout Scotland. TIS launched its Tenant Scrutiny Framework in December to provide a practical tool for tenants and landlords to develop their tenant scrutiny activities. TIS is also developing a Tenant Scrutiny Accreditation programme for use by tenants and landlords in Scotland. Drew Nisbett, Housing Manager, Fife Housing Association “TIS have been invaluable in supporting us to develop a tenant scrutiny framework that will work for Fife Housing Association”. 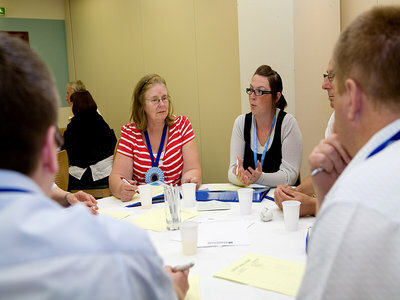 Tenant Scrutiny will be the key topic of the Saturday Workshop at the TIS Annual Conference on the 1st & 2nd June 2013, Crowne Plaza Hotel, Glasgow.